How do we find hot stocks without getting burned? How do we fatten our portfolios and stay financially healthy? Former hedge-fund manager and longtime Wall Street commentator Jim Cramer explains how to invest wisely in chaotic times, and he does so in plain English, in a style that is as much fun as investing is, or should be, when it's done right. For those who know what to look for, investment opportunities are everywhere. The average high school student is familiar with Nike, Reebok, McDonald's, the Gap, and the Body Shop. Nearly every teenager in America drinks Coke or Pepsi, but only a very few own shares in either company or even understand how to buy them. Every student studies American history, but few realize that our country was settled by European colonists financed by public companies in England and Holland, and the basic principles behind public companies haven't changed in more than 300 years. In Learn to Earn, Lynch and Rothchild explain in a style accessible to anyone how to read a stock table in the daily newspaper, how to understand a company's annual report, and why everyone should pay attention to the stock market. They explain not only how to invest, but also how to think like an investor. ©1996 Peter Lynch and John Rothchild. All rights reserved. (P)1996 Simon & Schuster Inc. All rights reserved. What about Peter Lynch’s performance did you like? Peter Lynch was very understandable and clear in what he read. I enjoyed listening to this audiobook and had no trouble understanding what he said. The opening story example was one I will remember on the differences on how to see your financial choices, what one should invest in and what is something that shouldn't be worried about. It helped me see that it is possible to save the money up to invest if you look at it at the right angle. I felt this was a good eye opener and will help me on my start into my road to investing. One should not just take this book then jump into the market, but it will help you get started on the questions you should use to research and learn more about. My next steps are of course, learning all the different types of investing and which funds I may be more interested in investing with, be it mutual funds or index. There are so many choices and this at least puts many of them on my radar and helped me know what I need to know more about. i believe there should be more chapters but only 2 chapters are narrated. there should be more chapters in the audible format. Lynch takes you along for a lovely stroll on a sunny day in a park while discussing the basics of investing and the mindset of someone with experience. Worth it. Worst book I ever bought. This book was not worth the time or money to listen to. Not a book I would recommend to anyone. Good info but very basic. I didn't notice that this is the abridged version before purchasing it. Despite my faux-pas , the information contained is good, although somewhat dated. The book was a quick and easy listening. It provided a number of helpful insights and was a good reminder not to make paniced decisions and to do your homework. 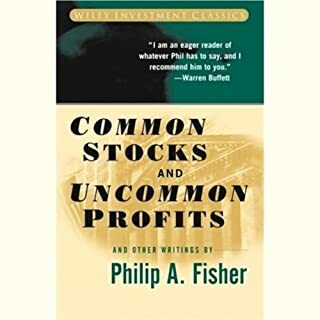 Loved this book as much as Peter Lynch’s other book. Both describe exactly how to be successful in the stock market. Wish this content could be expanded more. Very good intro for beginners. Everyone should read before getting to the market. it was a great introduction into the investment world. this book was well read. enough relatable stories that kept me interest. Great info for a new invester. Highly recommend! 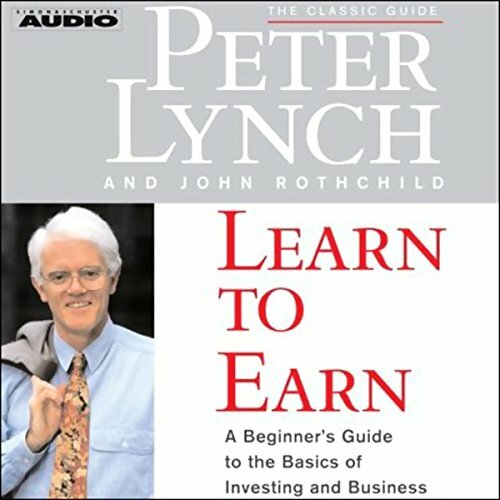 Peter Lynch read his book in a great and understandable way for beginners. The way he read was very entertaining. Highly recommend. This is an excellent start at looking at the basics of investing in the stock-market. 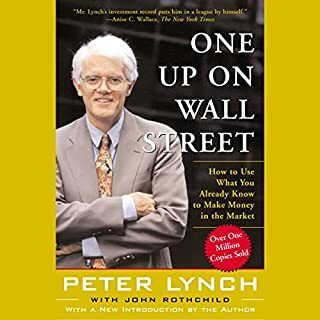 Using simple analogies Peter Lynch shows why investing in stocks in the long run is an excellent way to become financially free. The terms that are used in the financial market and financial publications such as bear markets, bull markets, P/E ratios etc are extremely well explained. Lynch also gives example of what happens in a general sense when there is a readjustment in the market or when a company gets bad news and stock prices fall. By using real examples to show how long term investments can accumulate and pay dividends to the investor if chosen well and held over the long term. 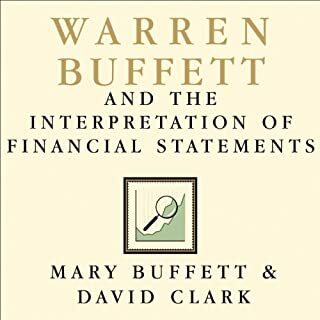 The basic theory of this book is a simple and similar in theory to many books written on Warren Buffett in fact many of the example written about in this book are stocks that Buffet has made a lot of money on. The theory is to buy when others are selling for the simple reason that excellent companies will always survive down turns in the economy and great companies still make large profits during times of uncertainty... even in the recession people drink Coke. If you are investing for the long term this certainly the way forward because as a individual trying to predict the hot stocks there is just too much risk. The book however doesn't go into the picking of stocks in much detail, it is merely a starting point to look from. 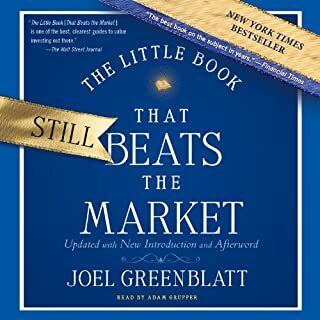 If you are looking for a book with more insight into what to look for in a stock price or a P/E ratio then I think that the next stage after this book would be "The New Buffettology" by Mary Buffett. This book goes into the aspects brought up by Peter Lynch in deeper context. 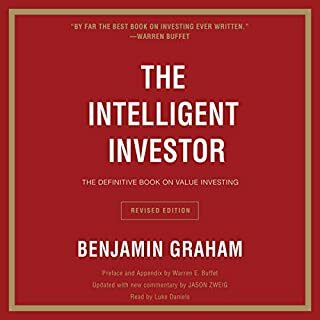 With these two books under your belt I would suggest "The intelligent Investor" by Benjamin Graham, Warren Buffett's first mentor. In conclusion I would highly recommend this book to anyone interested in investing. Why did Lynch take break? Wish his family understand I know this because I've read Beating The Sreet. 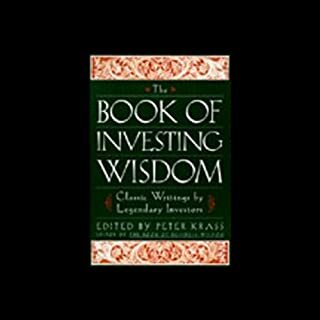 This book is perfect for a person new to investing and wanting to cover all the basics (and more) for a strong foundation on which to build. The narrator's voice is easy to listen to and the information is practical and full of examples. All the fancy stock market jargon is explained for even the most novice of listeners to understand. This book gives a good introduction to investing from a business perspective. It also emphasizes the importance of investing and how having a long-term view can crucial. Peter Lynch explains the difference between the price of company and its story. He emphasizes that these can diverge and investors can benefit from this if prudent. Perfectly competent introduction to modern capitalism and investing, which spends refreshingly little time on irrelevant anecdotes It is however showing it's age in places, and won't be of much use if you're anything other than a total neophyte. Lynch is decent as his own narrator. I listened to this from a recommendation on a blog and as I invest into a SIPP thought it would be a worth while investment of my time and money. Firmly aimed at new investors I found some really useful insights. I'm sure if I remember to listen to this again and again it will ensure I don't make the regular mistakes of most investors and will maximise my returns over the long term. I would recommend this to anyone thinking of investing of those not making the returns they want. Great introduction. I feel inspired and rest assured that I have a good foundation for my knowledge journey and investment story one day.